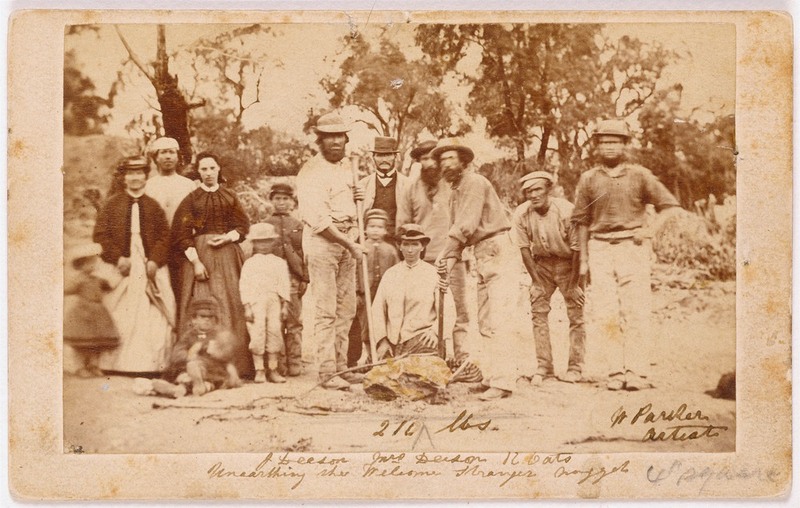 On February 1869, two British prospectors, John Deason and Richard Oates, were digging for gold in central Victoria, Australia, when their pickaxe struck something hard very near the surface. When Deason bent down to examine the large stone he thought was on the way, he discovered an enormous gold nugget—the largest anybody had ever seen, and will ever see. The nugget measured two feet in length and almost a feet in width. Miners and their wives posing with the finders of the world’s biggest gold nugget, “Welcome Stranger” .